I want to say thank you. Your Past Life reading was quite amazing. It gives me hope and a desire to work a little harder at resolving my karma. Once again thank you I am truly grateful with this new insight and I hope to use it wisely. Thank you very much for giving me guidance to work on my issues through the Past Life Profile. The information was very helpful and the exercises are an additional benefit. May God Bless you in your work and life. I just got the Past Life Profile and Exercises eBook. I am looking forward to working on clearing up the past life stuff that has been holding me back. Thank you, Ellen, for giving me the tools to work with!! Much Love, Light, and Peace! Thanks Ellen! The phone reading was quite helpful and a lot fun. I will get back to you when that "breakthrough" happens. Thanks for all the info! Ellen's reading was absolutely fantastic, very informative and helpful, full of insight. 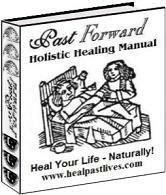 If you want to heal yourself, I recommend a healing from Ellen! This is an amazing website. Serendipity helped my find it and I am so very grateful. After reading one page after another, after another, 2 hours went by quickly by. And today, here I am again soaking in all the new found, enlightening info. Thank you for putting this here, thank you for "giving" it away, and thank you for your generosity. I am so grateful and appreciative. Take good care now and always. For spiritual advancement, this is among the best web-sites. I have been working very hard to alter concepts, schemas, beliefs, etc. I study psychology in an attempt to understand and help others. In particular those who have low self esteem due to "nasty" treatment from others. Let's all be more understanding and lend a helping hand. Kindest regards to Ellen for her boundless help and insights. Hi Ellen, I just wanted to thank you for your site. I have been a student of reincarnation, karma, and past lives for many years. I have always found how interesting situations, people and experiences are interwoven. Having a deeper understanding can help relieve if not heal many physical, emotional and spiritual challenges. Your site is the most honest, straight forward and detailed site I have seen. You are appreciated! :o) Many Blessings! I would like to thank you. You have put my heart, mind and soul more at ease. Through taking a whole day to read and think about what is written here, I have found that I am doing exactly what I need to be doing at this point in my life. By no means am I finished reading what you have to offer, but just being able to consider what I have read, is enough to put my once unsure self at ease. Thanks! Nice to see Lightworkers gathered in one spot! Nothing easy about being a 'chosen one': we have to stick together. Love and every blessing to you all. Hello! You have an outstanding good and well structured site. Good bye. All I can offer is a heartfelt "thank you".